Patrick concentrates his practice in the areas of food and beverage, general corporate and securities matters, and commercial real estate. Patrick is chair of Taft’s Food and Beverage team. He has extensive experience counseling multi-unit restaurant/bar operators on matters relating to financing arrangements, liquor licensing, mergers and acquisitions, real estate and general corporate governance in jurisdictions from coast to coast. With a background in the foodservice industry, he works with his clients to foster their growth by strategically overseeing all aspects of their operations to ensure that they are on a path to success. His business acumen and operational knowledge allow him to be a partner to his clients rather than just a legal advisor. Patrick is an adjunct professor at Kendall College and teaches a course on Hospitality Law. He serves on the advisory council of the Illinois Restaurant Association. Patrick serves as outside general counsel to businesses of all sizes. He advises and represents a wide variety of businesses in a full range of legal matters, including business formation, funding, acquisitions, business transactions, employment concerns, contract disputes, commercial litigation and negotiations. Entrenched in the business community, Patrick makes it a priority to introduce his clients to centers of influence within their respective industry. He is a frequent speaker on topics such as start-up growth and operations, foodservice issues and other current regulations impacting his clients’ businesses. Patrick is an adjunct professor of law at Chicago-Kent College of Law and teaches a legal writing course. 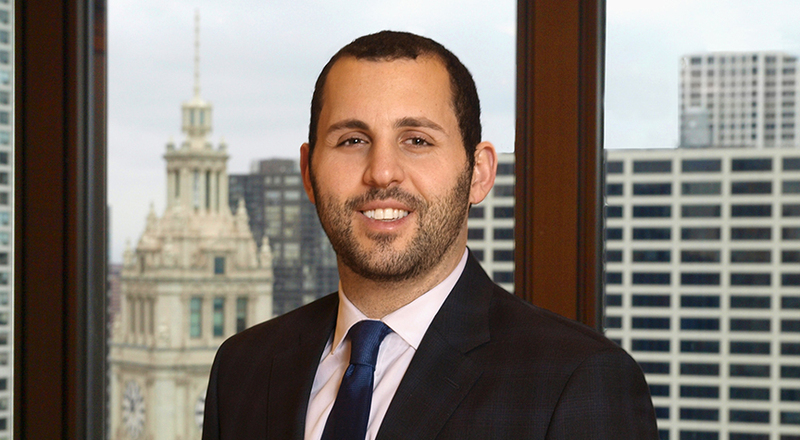 Patrick was selected for inclusion as an Illinois Super Lawyers Rising Star from 2016-2019. He is a member of the Chicago Bar Association, State Bar of California and American Bar Association. Patrick is a co-founder of One Feeds Two, an initiative that funds school meals for children in poverty. Represented a world renowned multi-unit restaurant group in the negotiation and drafting of the management agreement at a Chicago lifestyle hotel. Represented a leading restaurant group in their expansion into Nashville, Tenn., including the negotiation and drafting of a joint venture agreement, commercial lease, management agreement and license agreement. Represented individuals in the stock acquisition of a nine-location restaurant chain. Drafted private placement memorandums for numerous restaurant groups throughout the country. Represented individuals in the formation of a $5 million real estate equity fund. Represented a real estate developer in the preparation of offering materials and securities registration for investment in two developments totaling 98 residential units. Represented a well-known multi-unit restaurant group in defense of EEOC charges filed by former employees. Facilitated the simultaneous change of business licenses for 50 franchises. Developed and implemented a program for a multi-unit restaurant group to review and confirm compliance with Illinois Happy Hour Law requirements.